Combining bright graphics in feminine shapes, Love Made Love's fun collections for girls have real childlike charm. 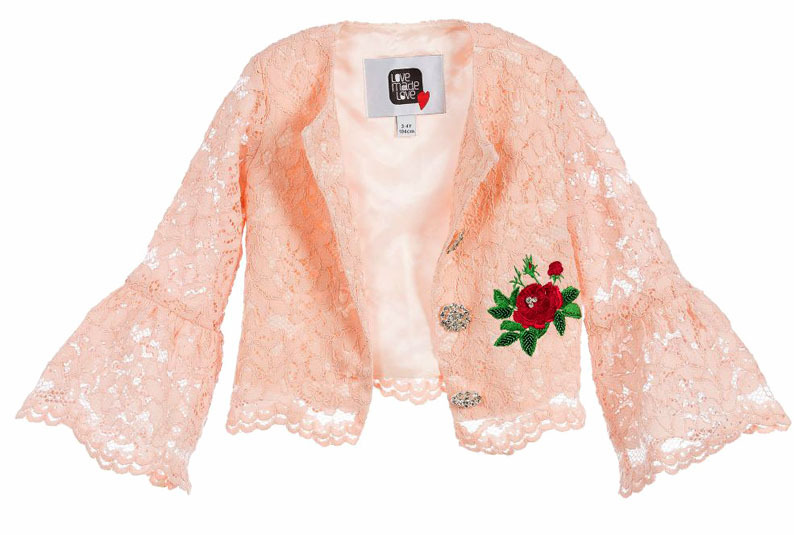 This beautiful, salmon pink Love Made Love jacket has elegant bell sleeves, exquisitely embroidered roses and it sparkles with diamanté buttons and beads. The silky lining ensures it is comfortable against the skin. Made in soft, cosy velveteen, this black tracksuit by Love Made Love will be a comfortable choice for girls. 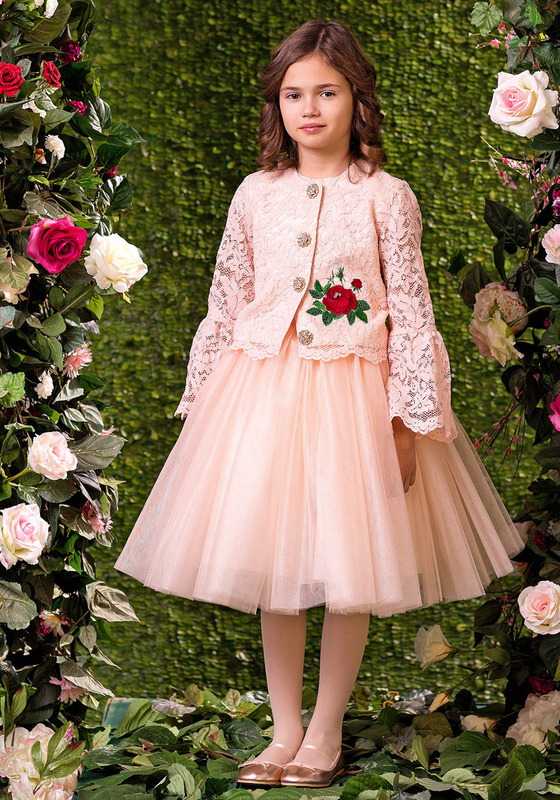 The hooded jacket sparkles with snowflakes and has the sequinned Clara and her handsome prince from the 'Nutcracker' embroidered on one side. Quick to put on, the jacket has a zip fastener and the trousers simply pull up with an elasticated waist. 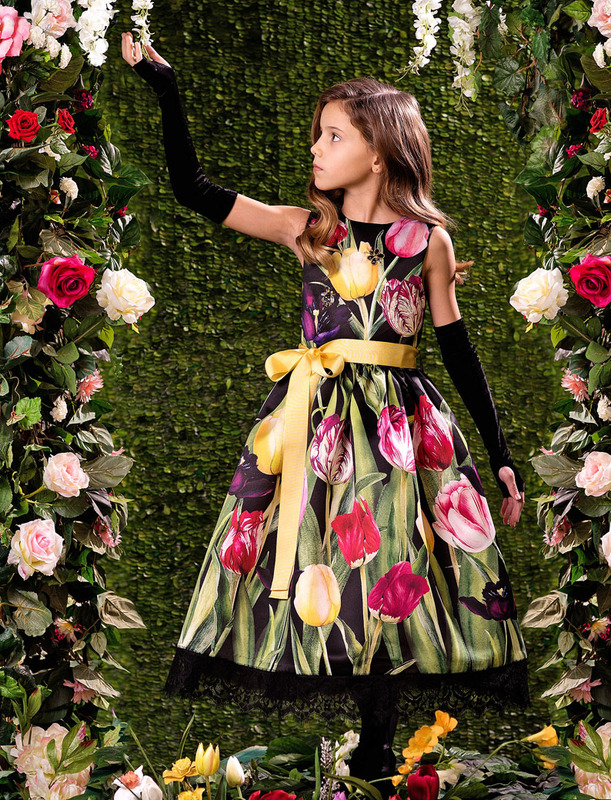 A stunning ballerina-length dress by Love Made Love, made in sumptuous black satin and printed with colourful tulips. 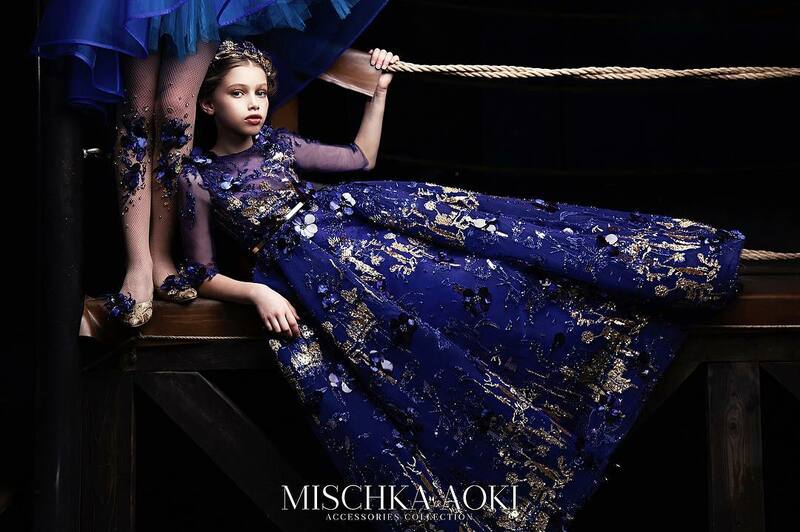 Sequins and diamantés sparkle on the bodice, with exquisite crystal butterflies and bees. 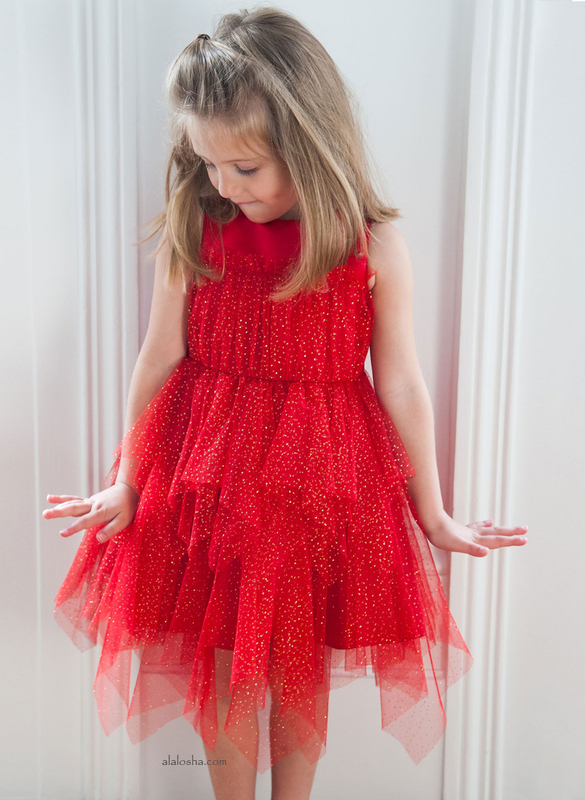 Fully lined in soft cotton for added comfort, with layers of tulle adding volume to the skirt.